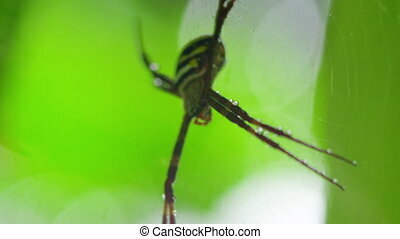 A spider macro shot on it's web. 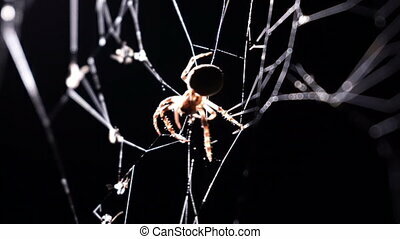 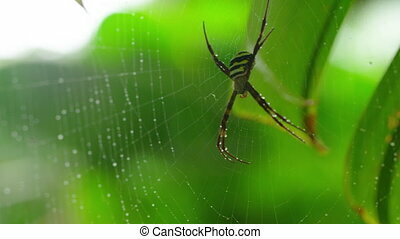 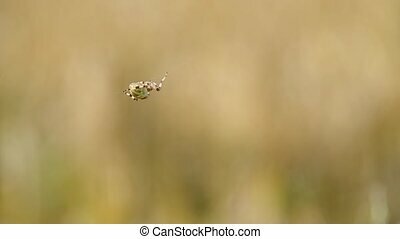 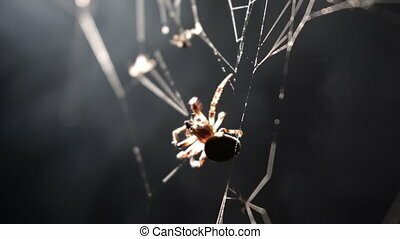 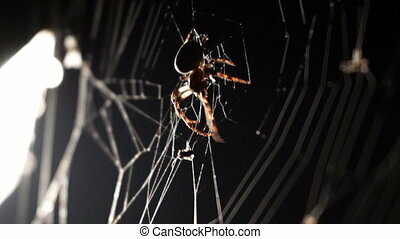 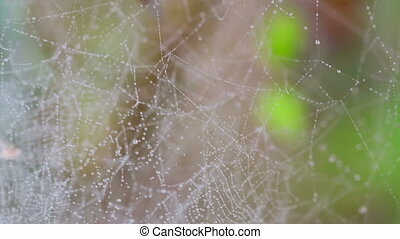 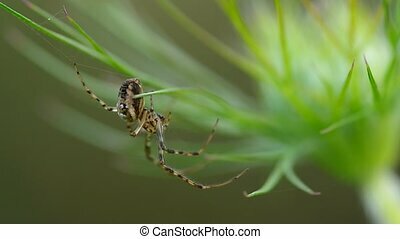 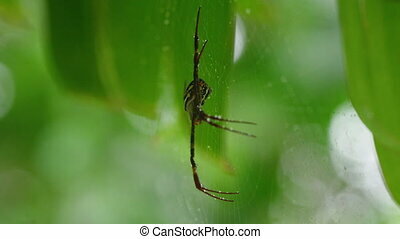 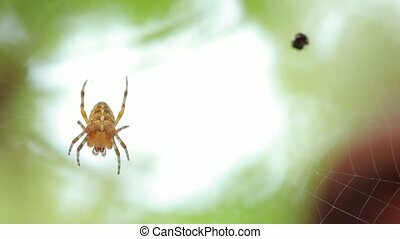 A macro shot of spider on it's web while shot pans to the left and right. 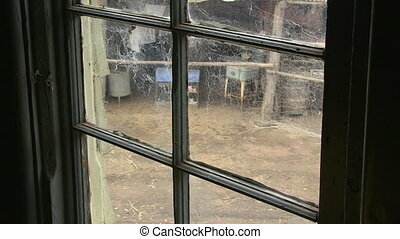 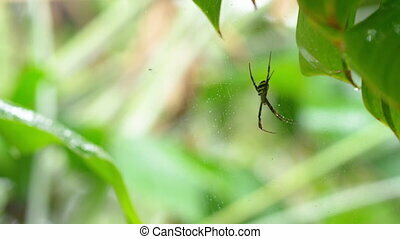 A medium shot of window with web of spider. 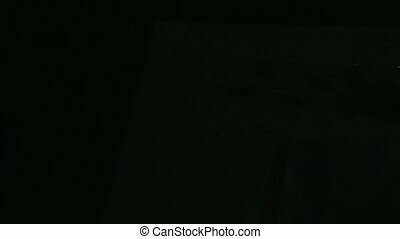 Camera moves to the right and left. 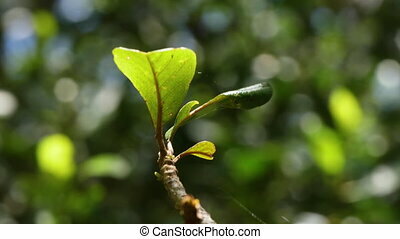 A macro shot of a leaf on tree branch. 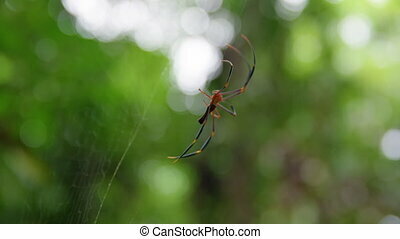 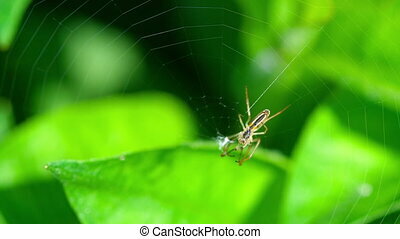 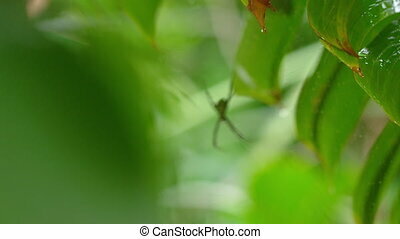 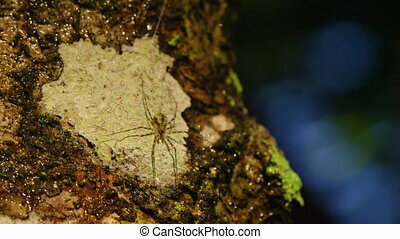 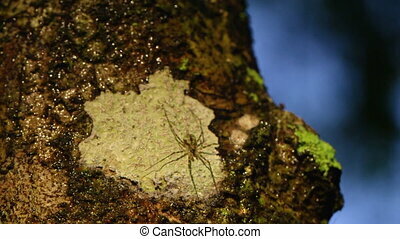 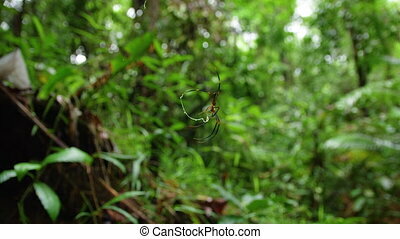 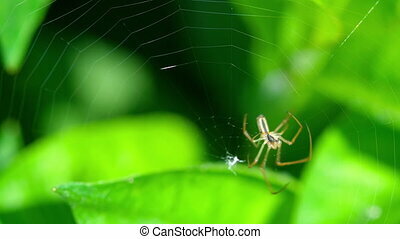 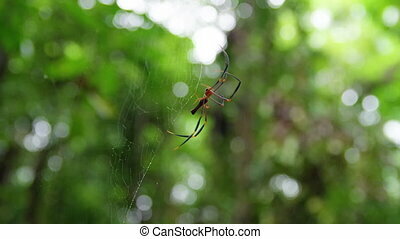 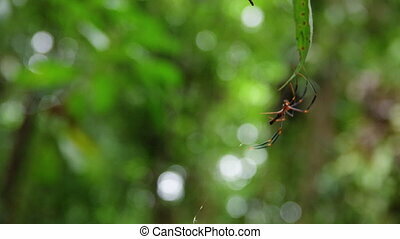 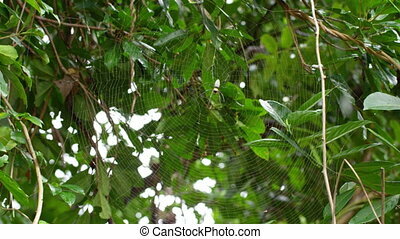 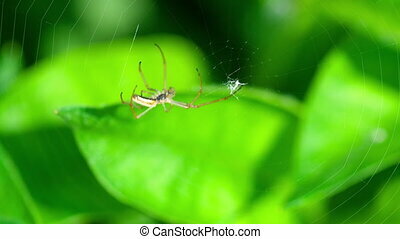 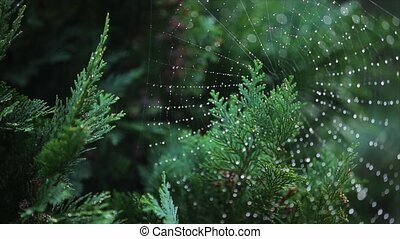 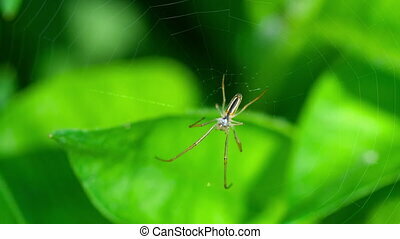 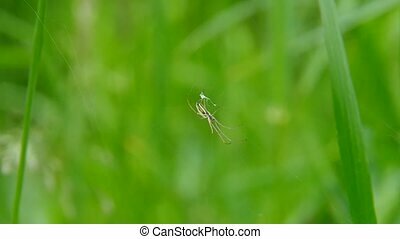 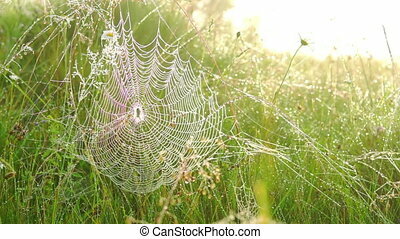 Spider web is attached to the branch and the leaf.